This year, AFFINITY, the watch that accompanies you at all times, comes with an intense midnight blue dial. A feeling of intimacy in every moment. 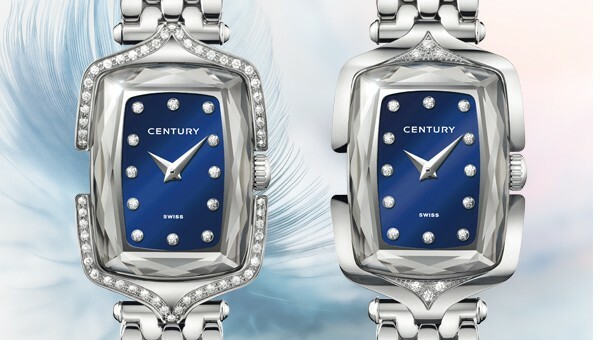 With AFFINITY, CENTURY offers women a watch designed to accompany them as they fulfil the potential of every hour and seize the opportunities of every instant. Part of the CONTEMPORARY TIMEPIECE collection, AFFINITY instantly asserts its philosophy: elegance every day, and discreet luxury to be appreciated in daily life. Forged in steel, AFFINITY is first and foremost the epitome of timeless style, defying the passing seasons and changing trends. AFFINITY bears the most authentic hallmarks of femininity. From the curvaceous attachments surrounding the CENTURY sapphire and the smoothness of the metal bracelet to the jewelled splendour of the dial with its 12 brilliant-cut diamond hour-markers, every aspect has been considered to make AFFINITY the most devoted companion among timepieces. The delicate structure of the attachments was conceived with the utmost attention to detail. While gently enveloping the bracelet bar they reveal, on the sides, the complexity of the CENTURY “Megalith” case. This technique is used to fuse two discs of sapphire into one inseparable piece, and is one of the distinctive marks of the brand’s timepieces. 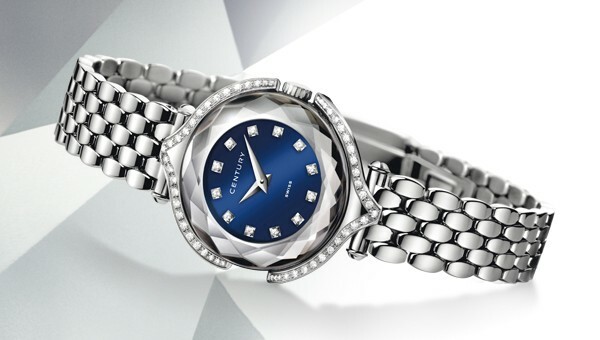 The facets of the CENTURY sapphire, each hand-cut and hand-polished by the Manufacture’s master craftsmen, create a unique and dazzling display, offering a subtle interplay of light with the steel, the diamonds and the intense blue lacquered dial. The curves of the barrel link bracelet are not just for visual effect: they also ensure a unique smoothness and lightness on the wrist. In either case, this exclusive sensation will remind the wearer of the true loyalty of the AFFINITY watch, at any time of day or night. Model in steel. CENTURY sapphire cut and polished by hand. Midnight blue lacquered dial. Quartz movement. Steel bracelet.